1. Turtle sandbox - Stan bought this with the hopes of actually making a sandbox in the backyard for Miles that he could play in. 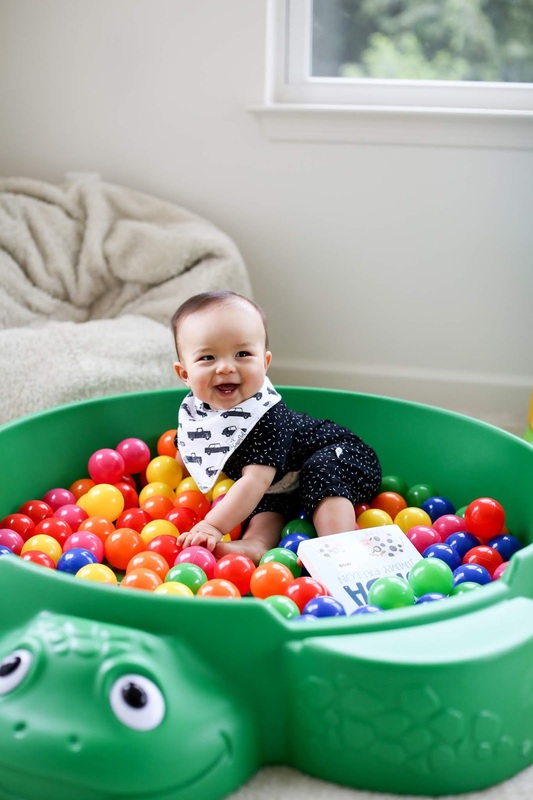 But he is still too young for that so I improvised and filled it with plastic balls to make a ball pit. He crawls in and out of this all day long. 2. 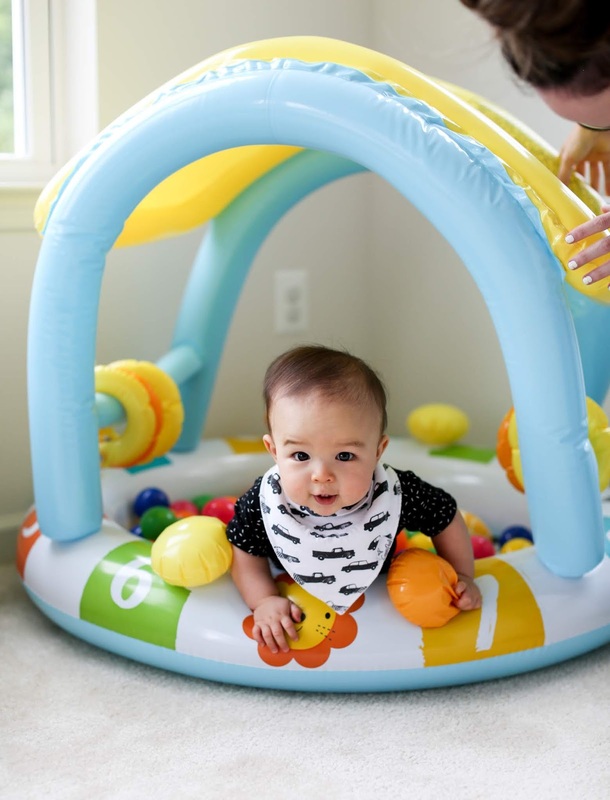 Plastic balls - I first purchased these for his blow up pool to make it more fun and it was my best decision yet! He adores these things and throws them all around. 3. 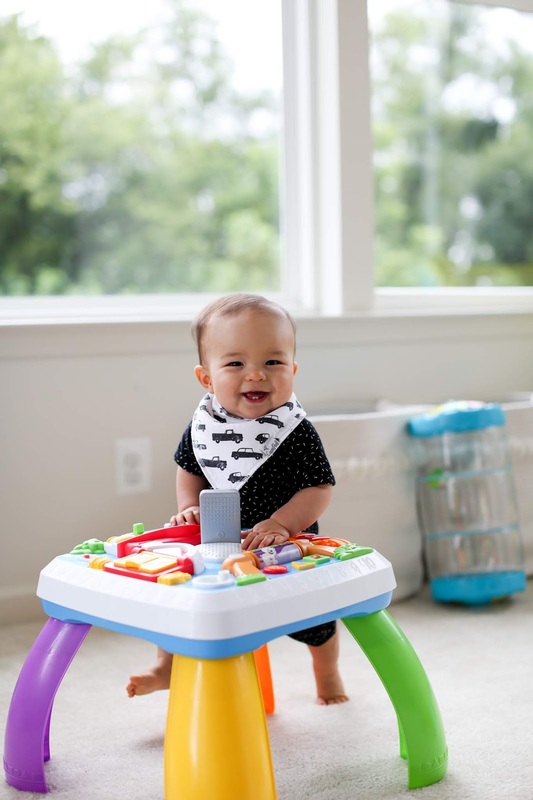 Learning table - When he started pulling himself up to standing, I knew a table like this would be perfect so he could work on his balance while standing and interacting with all the different gadgets on the table. 4. 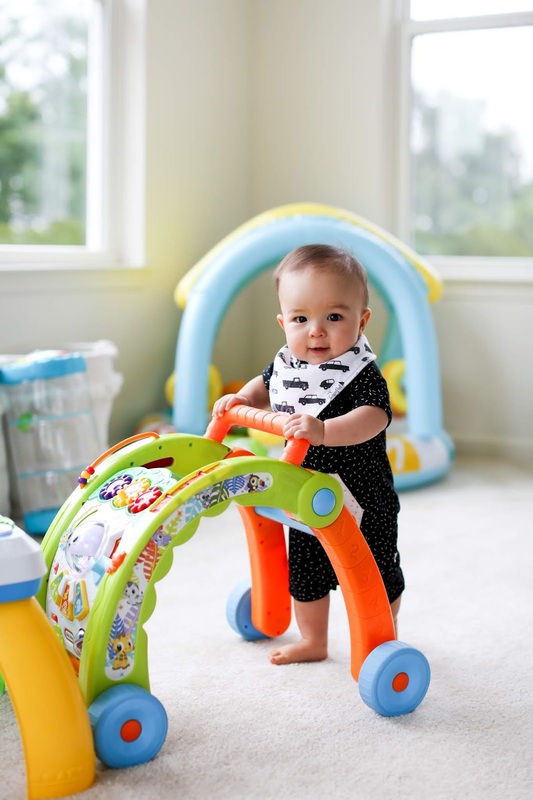 Walker - Hands down, best toy of the bunch! Miles is on the go, go, go! As soon as Stan put this together, Miles pulled himself up and began pushing it across the room. He squealed with delight and still does. 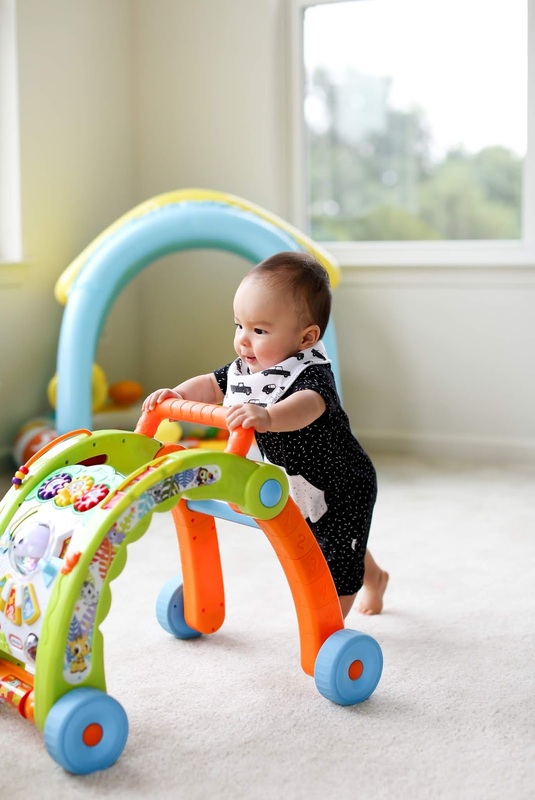 It can be made into a sitting toy or locked so he can play with it kneeling on the ground, but his favorite way to engage with it is by pushing it. 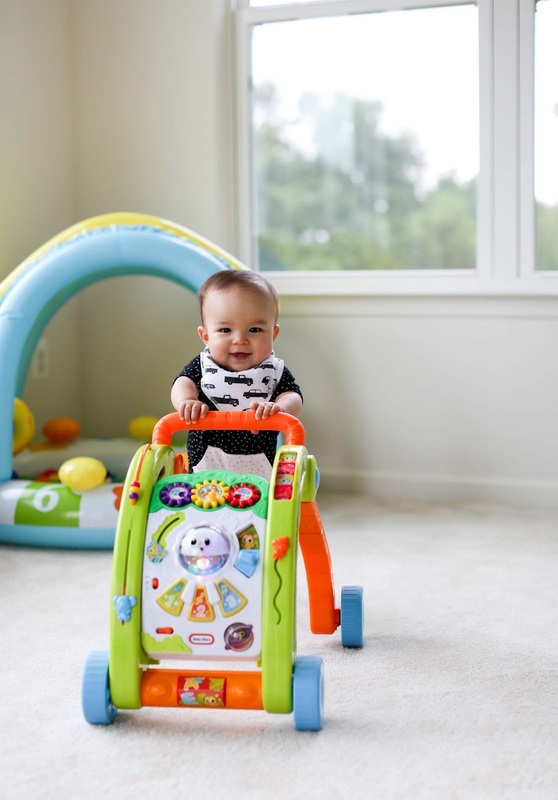 It makes noise and has so many buttons which he plays with when he gets tired of walking. 7. Bathtime toys - We give Miles a bath every night (this is the tub we use) and these are the toys he loves to play with. Normally he just chews on them for a bit and plays with them in the water. 8. 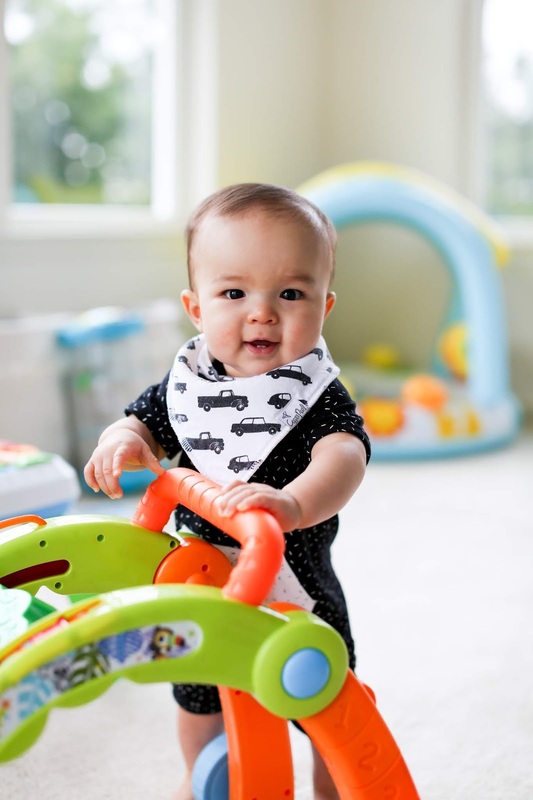 Steering wheel toy - This toy has been around since he was a few months old and it was what encouraged him to crawl. For some reason, he loves it and would always move towards the noise and sounds it makes. He still loves to play with it every day! 9. Peek & play book - He has had this book since he was a newborn and still loves to chew on it all the time. 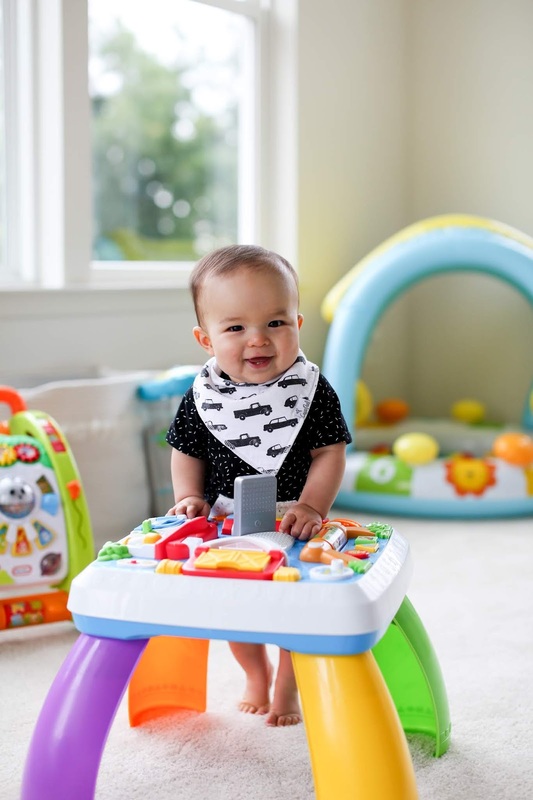 Now he can turn the pages and play with all the animals inside which keeps him entertained much more. A few honorable mention items that he plays with from time to time, but I think they will be better for when he is a bit older - this sports center, this dump truck and this bucket of blocks. Click here to read all my previous posts on what I am loving for Miles.